In comparison to Downtown Jersey City, the development on the Western side of the city is definitely at a smaller scale. But in the past few years, the creation of many redevelopment districts in this area as well as a surge of new residents have really begun to reshape this part of the city. Just from that zoning map, you can see that most of this area is R1 (1-2 family homes) but a very large section colored in blue denote industrial areas which have been designated for redevelopment. From my research, the areas closest to Route 440 have been zoned for high-rise residential while others are mid-rise and low rise multi-family units closer to West Side Avenue. Being a resident of this part of JC for more most of my life, I have seen the transformation of this area. 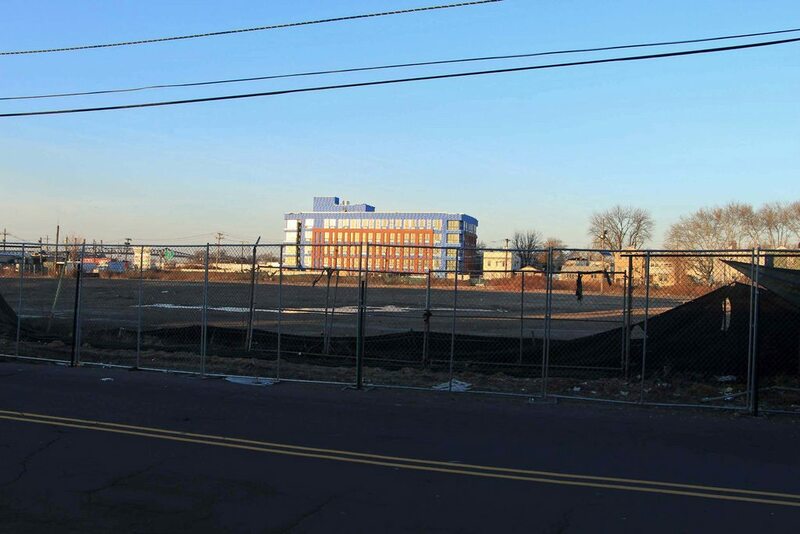 Many abandoned industrial buildings have already been knocked down, the city has been slowly buying up vacant properties and land, NJCU has already begun its West Campus expansion, Bayside is in the process of finding developers to start construction, not to mention the plans the city have of turning Route 440 into a more inviting urban boulevard to spur more development. I thought I’d make a thread of a lesser known area of the city to shed some light on the next area prime for new development. I’ll be updating this as more news comes. Most of this current construction is due to the West Side Light Rail Station. It also has NJT bus connections that run on West Side Avenue. As you can see, most of the sites are quite close to the light rail station. When the extension of the rail to Bayside becomes approved, expect more! They held a ground-breaking ceremony on the next building which is the empty lot to the right of the photo behind the finished dorm building. The car wash has been closed for at least a year or two. Another new mixed-use development could join Bayfront, University Place, and the projects along Bennett Street that are set to contribute to the residential boom that is coming to the area of Jersey City’s West Side just east of Route 440. The project is being proposed for the large tract at 100 Water Street, which stretches from Claremont Avenue past Yale Avenue to Clarke Avenue. City records show that the plans call for the development to be constructed in three phases. Phase I would include a new five-story mixed-use building with 233 residential units, 7,763 square feet of retail space, and two parking lots with a combined 123 that would be temporary. Yale Avenue, which currently ends just west of Mallory Avenue, would be extended to Bennett Street, and a new connector road between Claremont Avenue and the proposed Yale Avenue extension would be constructed. Phases II and III are set to include the development of two new buildings, each of which would be seven stories tall. While one would contain 310 residential units and 11,057 square feet of retail space, just 78 residential units and 9,638 square feet of retail space would occupy the other. A new parking garage that would be six stories tall with 373 parking spaces would also be built as part of the plans. The property is located within Ward B’s Water Street Redevelopment Plan Zone, which is undergoing a transition from being an industrial and residential part of the city to containing more residential and retail space. This site, which is surrounded by fencing, was previously home to multiple buildings that were used for various industrial and automotive-related purposes, including Zone Towing and Recovery, 1 Extreme Towing, Lucan Enterprises, Avanti Bus Tours. However, The Jersey Journal reported in 2015 that the owner of 1 Extreme Towing was suddenly told to move his business out of the site within a month in order for the property to be redeveloped. All of the structures on the premises, which, according to NJ Parcels records, are owned by CWY, LLC, were demolished last year. The developer, 100 Water Street Development, LLC, which was registered with the State in 2016 out of Hoboken, is seeking Preliminary and Final Major Site Plan approval for Phase I and Preliminary Site Plan approved for Phases II and III. The case is set to be heard by the Jersey City Planning Board during its meeting on Tuesday, August 15th at 5:30 pm at City Hall. For decades, massive warehouse facilities at West Side Avenue Industrial Park have taken up several acres at 25, 107-111, and 151 West Side Avenue, across from Van Nostrand, Stevens, and Armstrong Avenues, in the city’s Ward A. The properties, owned by Eden Wood Realty of Hanover Township, Morris County, stretch all the way back to Route 440. 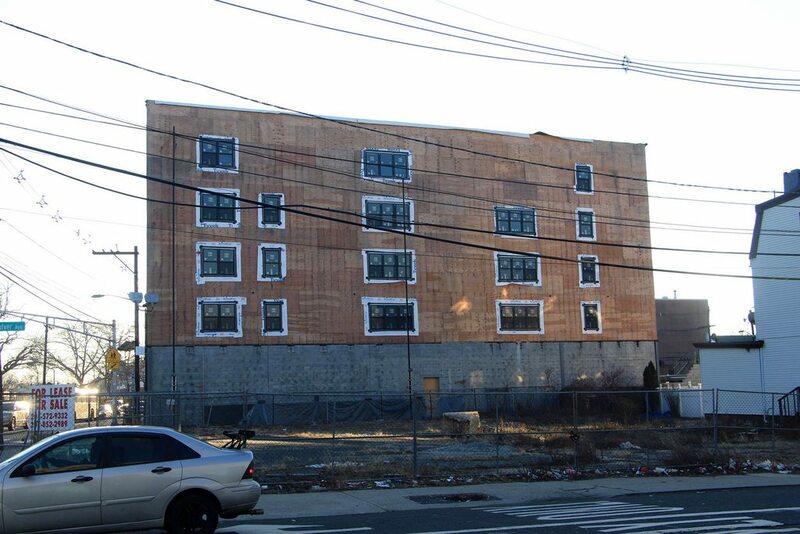 Now, according to a legal notice, a developer has applied to the Jersey City Zoning Board of Adjustment (ZBA) for amended preliminary and final major site plan approval to demolish part of a warehouse building on the property. The proposal calls for converting the remaining part of the structure into a two-story residential building, which would contain 119 units. 118 parking spaces would be provided for residents of the development, which is located in a designated Highway Commercial District. 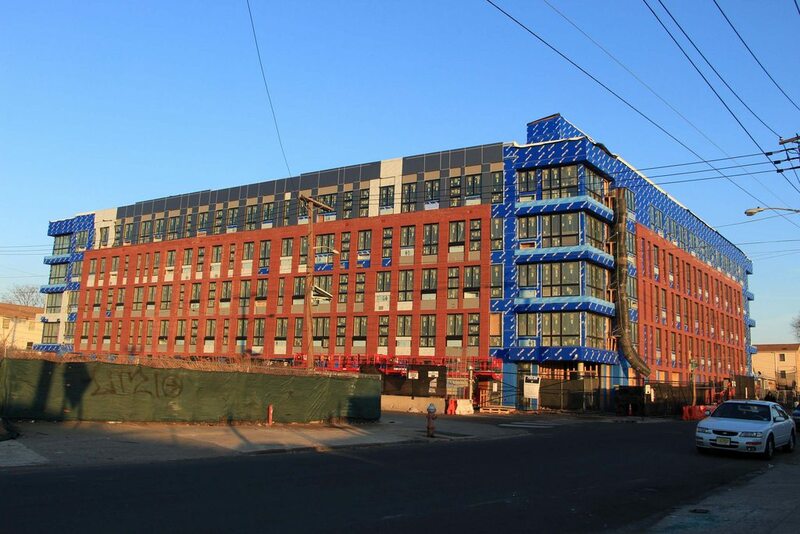 The developer, Jersey City University Lofts, LLC, which is a Delaware corporation, originally applied to the ZBA in December of 2015 for the project to consist of 116 units, and was approved by the board in the spring. I haven’t seen anything new with this. The building is still vacant. This site has been added to the 440 Redevelopment/Culver St. Plan. As we have been reporting, new mixed-use and all-residential developments are continuing to be proposed for properties within a half-mile of the West Side Avenue Station on the Hudson-Bergen Light Rail. The station, located in Jersey City’s Ward B, is the southern terminus on the line between Jersey City and North Bergen, and is situated in a neighborhood that has a mixture of residential, commercial, industrial, and educational properties. Now, one of the largest properties near the station is on the market, leaving the potential open for major redevelopment. The 2.73 acre tract at 400 Claremont Avenue, which stretches back to Yale Avenue, was listed for sale last month. The site is located diagonally across the street from the pedestrian bridge across West Side Avenue to the station, and contains a massive complex that was previously used by companies such as Elementis Specialties, Daniel Products, and Synres Chemical Corporation for industrial purposes. Now that the property has been listed for sale, it appears likely that after close to 70 years of manufacturing or other industrial activity at the site, those days are over. A listing from CBRE shows that the real estate firm is marketing the tract as a “residential redevelopment opportunity,” describing the warehouses, laboratories, and offices on the property to potential developers as having potential to be converted into a mixed-use project with residential units and retail space on the ground floor. The site consists of 10 lots in total, according to CBRE, and is subject to New Jersey’s Industrial Site Recovery Act. I can confirm that this building is in the design process to be put in front of the Planning Board in the next year or two. The latest part of Jersey City to see a sudden spurt of development appears to be the West Side neighborhood near the Hudson Mall. For the second time in just three months, plans have been revealed for a new building proposal in this area, which is seeing the last traces of its industrial roots disappear. 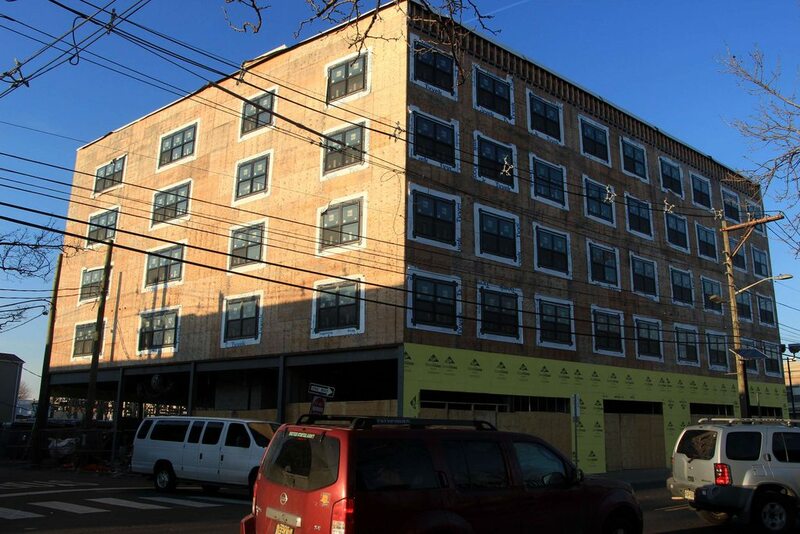 In March, Jersey Digs reported that a new 63-unit mixed-income residential project designed by Minervini Vandermark was planned for 16 Bennett Street, and construction recently began at the site. Plus, New Jersey City University’s University Place development with a ShopRite supermarket and over 300 units is coming just a few blocks away near Carbon Place. Now, the latest proposal calls for constructing a mixed-use building at 11 Bennett Street in Ward B, on a section of the block that is only accessible by car from Route 440. 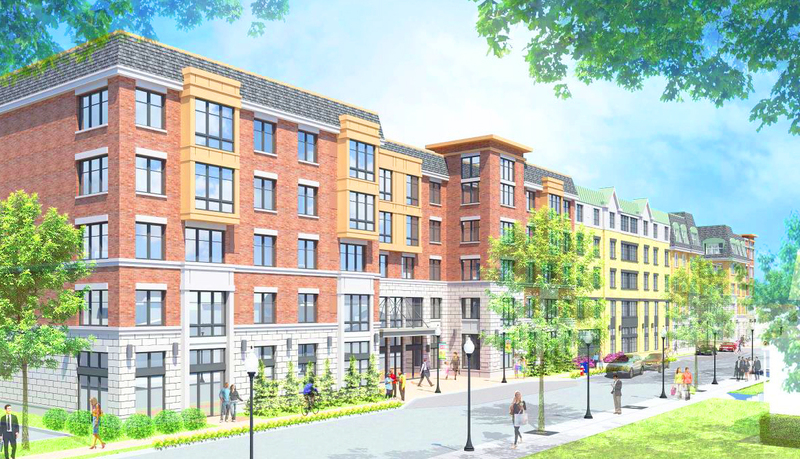 According to records from the Jersey City Redevelopment Agency (JCRA), the development plans state that 120 residential units and ground floor commercial space are planned for both this lot and the neighboring property at 682 Route 440. As of 2015, the development was slated to be 12 stories tall. Currently, the site contains a small private parking lot and a strip mall with businesses like 440 Liquors, New Ashiya Japanese Cuisine, T-Mobile, Annie’s Nail Spa, and a check cashing agency, as well as a community office for several Hudson County Democratic politicians, including Mayor Steven Fulop. Until it was recently demolished, a one-story industrial building used by Dye Specialties was located where most of the parking lot currently sits. 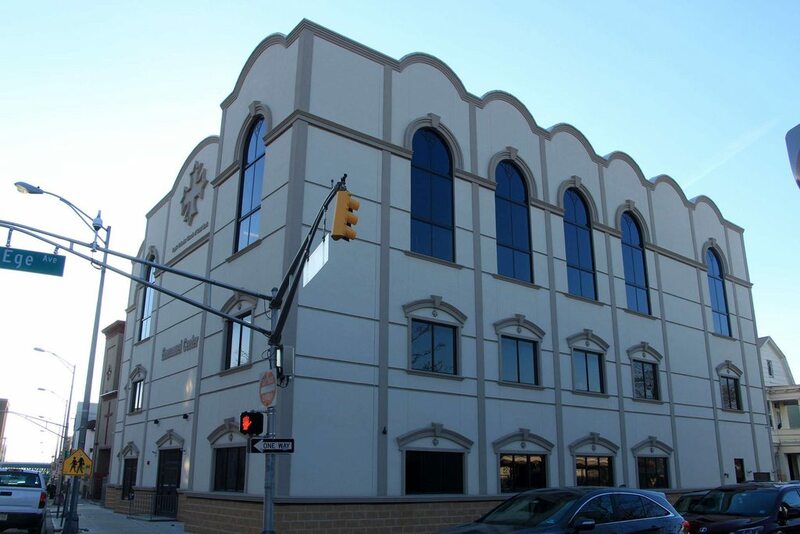 The property, located within the Water Street Redevelopment Area, is situated within walking distance of the Hudson Mall, the West Side Avenue business district, the West Bergen Branch of the Jersey City Free Public Library, and the West Side Avenue Station on the Hudson-Bergen Light Rail. The site next door is also up for approval. Rare case of a new building going up on the commercial/retail area of West Side Avenue. I don’t think there’s been a new building built on this stretch of West Side Avenue in a long time. Replaced two 1-story retail buildings. Really interesting, keep up the good work! 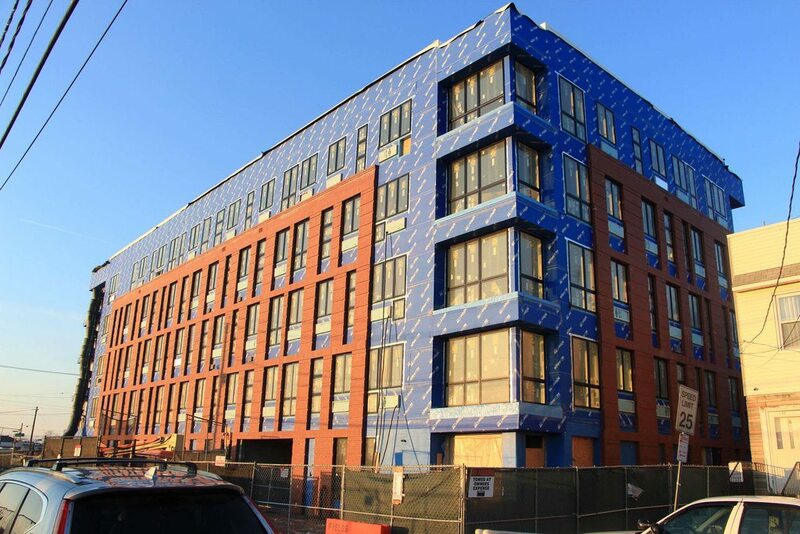 First apartment building in NJCU’s new West Campus is open and leasing. Click through for photos of the apartments. This is big news for this neighborhood. That’s a lot of units and a huge plot of land that’s vacant that will become part of the city again. As more areas around it are developed, maybe NJ Transit will take the HBLR 440 Extension more seriously. Going very slowly. I took this picture 6 months ago, but not much has changed besides stripping the exterior paint. The council voted 7-2 to approve the plan. That’s a big step forward for the site! University Performing Arts Center Unveiled in Jersey City Starting construction early 2019. Another dormitory building is also under construction. So that’s good news. The city really wants to get this moving along on the West Side. NJCU is already finishing up it’s 3rd building so momentum is on the rise. A few other lots nearby have already been prepped for construction or demolition. A demolition permit was issued in November 2018, according to city records. However, a legal notice that was just released shows that as the project nears the planning approvals stage, changes have been made to the proposed development. The project now calls for 631 units to be included along with 12,044 square feet of retail space and 279 parking spaces, according to the notice. The Real Deal also reported last month that the $120 million project is being referred to as “The Element,” it is expected to benefit from opportunity zone funding, and there are also plans for a “saltwalter pool” at the development. 400 Claremont Urban Renewal, LLC is seeking Preliminary and Final Major Site Plan approval, according to the notice. Variances such as floor-to-ceiling height, sidewalk width, and signage are being sought. 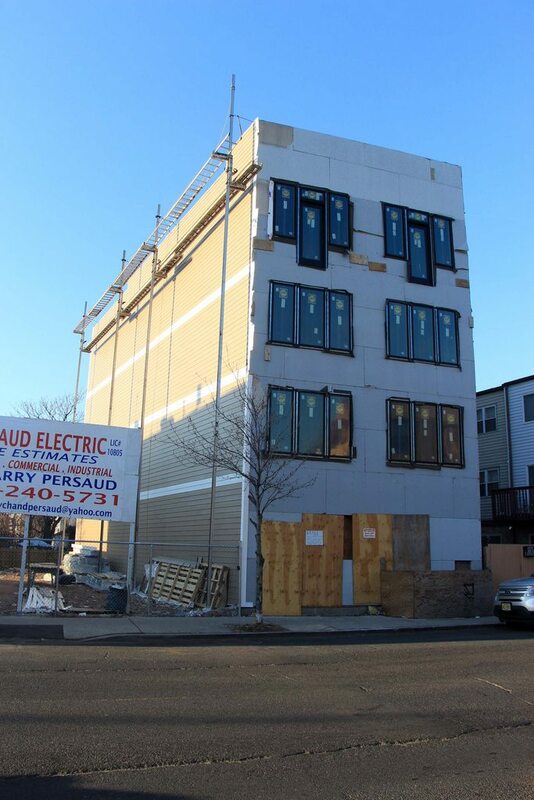 The hearing on the company’s application has been scheduled for the Jersey City Planning Board’s meeting on Tuesday, March 12, at 5:30 p.m. at City Hall. I live near this, and I have passed by the site multiple times, the factory and most adjacent buildings on the site have already been demolished. I can see construction starting real soon if it gets approved next week. The updated rendering looks great! Better than that first draft.